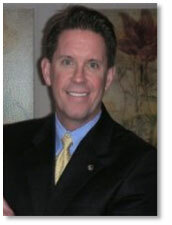 Steve LeGraw (slegraw@mentorllc.com) is founder founder and President of Mentor Partners, bringing to his work a unique perspective formed through years as a CEO, banker and corporate advisor. After graduating from Harvard Business School, Steve was a consultant and he became the youngest named partner in the history of his firm. His consulting career led him to his first CEO challenge at age 34, running the U.S. aluminum foil and extrusion business for Gulf Aluminum Rolling Corporation headquartered in Bahrain. Four years later, he was asked by Summit Partners, a Boston private equity firm, to serve as CEO of a consumer products company in its portfolio. After forming Mentor Partners in 1999, Steve took a leave to serve for five years as CEO of Bradford Soap, a manufacturer with multiple operating plants in the US, Mexico and Europe. Steve led the company through a market repositioning and an acquisition and divestiture strategy that tripled revenues and profits and positioned the company for further growth in new business segments. 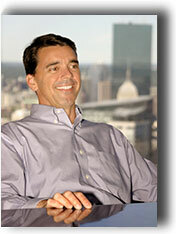 In 2007 Steve re-joined Mentor Partners and introduced an investment division. While the consulting side focuses on general business, growth and M&A (Mergers & Acquisitions) consulting, on the investment side, Mentor targets companies in the manufacturing, distribution and logistics businesses. Steve is also a patent holder of an invention called "Information Trading System & Method", which is commercially referred to as "StatTrader." The application was developed to stimulate networking amongst intermediaries servicing the M&A business. David Serpa (dserpa@mentorllc.com) brings over 20 years executive experience with an ability to grow profits, create a competitive advantage, and deliver value that is measured by financial improvement. Prior to joining Mentor, he served PRTM Management Consultants (now PWC) where he conducted technology due diligence, Business Process Outsourcing, and developed business strategies in support of corporate clientele and private equity M&A activity. He has held executive sales and business development positions at Sapient Corporation, Verizon Communications, Bell Atlantic, NYNEX Corporation. He has also held executive positions within our portfolio companies and corporate clientele. His experience spans several industries including technology, industrial, aerospace, finance and transportation. David's responsibilities include identifying and evaluating new investment opportunities for management buyouts. He also leads Mentor's M&A services within the CPA State Societies and their member firms through the use of StatTrader, a valuation network exchange technology. David empowers the CPA community to advise their clients on growth opportunities in the M&A sector. David earned his BA degree from Boston College and his MBA from Boston University Graduate School of Business where he graduated with honors. Jerry Kehoe (jkehoe@mentorllc.com) is an experienced deal maker on both the sell-side and buy-side of deal origination agreements for both strategic and private equity suitors. Prior to joining Mentor, Jerry was a Director of Corporate Development at Trudeau & Trudeau Associates and a Managing Director with Innovation Capital Partners where he was responsible for identifying, qualifying and developing all prospective deal opportunities and for educating and explaining the merger, acquisition and selling process to prospective clients. 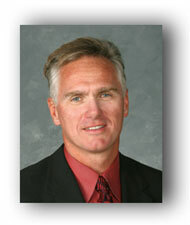 Jerry is responsible for growing Mentor's merger and acquisition deal origination and deal placement group. He originates deals for placement in our Mentor Funds or within our extended group of investors and buyers connected and formally introduced by us through our national StatTrader network of anonymous business buyers and sellers. Jerry earned his BS degree in Business Administration from Eastern Connecticut State University. "I have known the founder, Steve LeGraw, since business school in the late 1980s. I have, and always will, recommend him to my colleagues.."
Copyright © 2017 LWWC, LLC, dba Mentor Partners, All rights reserved.